Robert Wallace, born on the island of Ronaldsay in the Orkney Islands, came to Kingston as a young man. 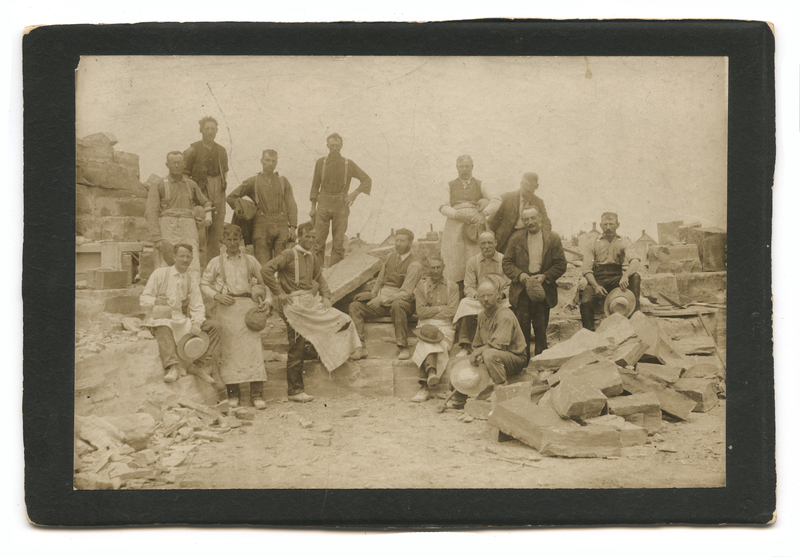 Trained as a stonecutter, he quickly found opportunities in Kingston, and he married Isabella Bourne in 1888. Her family lived in a house on Balaclava at the top of Patrick, and the story goes Robert became acquainted with Isabella by walking by every day on his way to work. Isabella’s brother kept bees behind the house and sold honey, and her two sisters were skilled needlewomen. Robert bought the land that is now St. Patrick’s School, working it as a quarry. He and his family lived first on Stephen Street, and later, ironically, in a fake stone house just south of the quarry on Patrick Street. The eldest son was Ronaldsay, or Ron, named after his father’s home, and then followed three more sons and four daughters. Robert also worked as a contractor; among his surviving buildings are Robert Meek School and the beautiful red brick utility building at the northeast corner of Princess and Queen. Ron Wallace married Nellie Bennett in 1918. 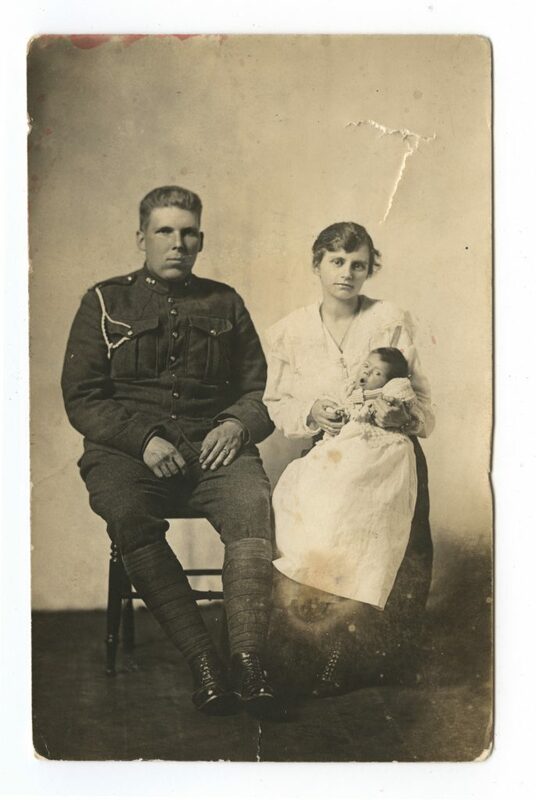 Nellie was two months pregnant and Ron was doing military training in Brockville, but things turned out well for them: the war ended before Ron had to go overseas, and he and Nellie went on to raise five daughters together. 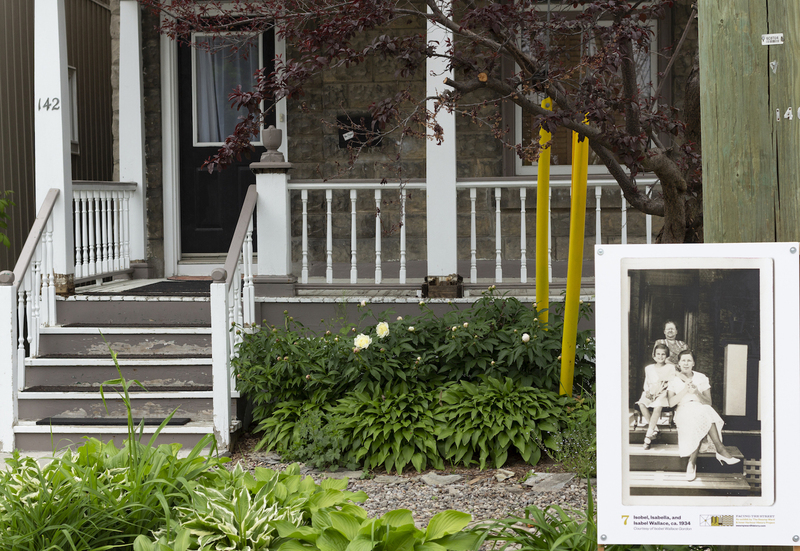 Helen, Elsie, Jean, Isobel, and Betty lived with their parents at 484 Bagot Street until 1936 when they moved up to the Wallace home on Patrick Street. It was a full house, with two aunts and two uncles living there as well; the girls were up in the attic. The Bourne great-aunts at the top of the hill kept the girls fashionable by “making over” old coats to the right sizes and latest fashions. We went on mother’s allowance, $5 a month for each child under 16, so that was three of us. My older sister quit school and got a job working at Bennett’s Grocery Store, and my other sister stayed on at high school for another year, so she started working at the Woollen Mill. And the family helped too. Nellie Wallace was lucky that her brother George Bennett was a grocer, and thus equipped to provide both jobs and food. In fact, Ron had built George a house on Bagot Street across from the store, so there was even more tie between the families. My sister and I and a girlfriend were up at the fair, and we were on a Ferris wheel, and there were two boys down below… so we were eyeing them. Look at that cute guy down there! — and the other said, oh that’s so and so. So the next day, my sister and this friend were over at the piano, she was playing the piano, and I was standing at the window, and I said, oh, there’s that cute fellow we saw at the fair last night, and they said, oh, call him in, call him in! So I knocked on the window and called him in, and he was goin by to see me, so that’s how we started. After ten years, Isobel’s marriage ended, and she moved back in with her mother; they lived in the house on Patrick street until 1962. To hear Isobel telling about her family, listen here or here; see also items on the SWIHHP blog here and here. Warm thanks to Isobel Wallace Gordon for photos and family stories, and to Marc Shaw for the quarry photograph. 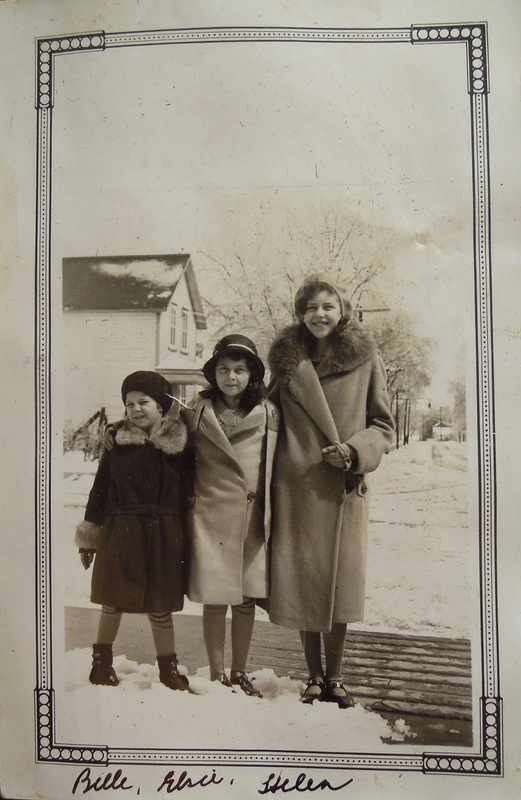 Isobel (Belle) Wallace with her grandmother Isabella (Bourne) and Aunt Isabel, ca. 1934, as installed in situ. Credit: Chris Miner.